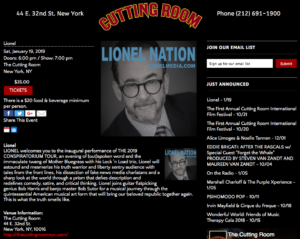 LIONEL welcomes you to NYC’s famed and fabled CUTTING ROOM the inaugural performance of THE 2019 CONSPIRATORIUM TOUR, an evening of (out)spoken word and the immaculate twang of Mother Bluegrass with his Lock ‘n Load trio, Lionel will astound and mesmerize his truth warrior and liberty sentry audience with tales from the front lines, his dissection of fake news media charlatans and a sharp look at the world through a prism that defies description and redefines comedy, satire, and critical thinking. 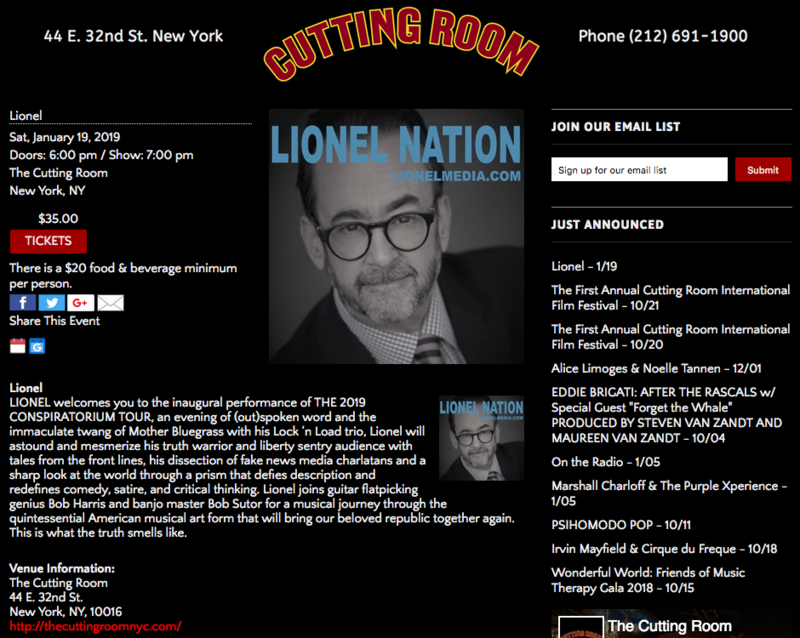 Lionel joins guitar flatpicking genius Bob Harris and banjo master Bob Sutor for a musical journey through the quintessential American musical art form that will bring our beloved republic together again. This is what the truth smells like. LIONEL PODCAST: Don’t Worry About Credit Rating Downgrades. China’s Double-A Too!